Nominated for an Academy award for special effects in 1968. The nuclear submarine miniature is modeled on a "Skate" class submarine, whereas surface shots used a Guppy 1A and IIA diesel electric submarines. 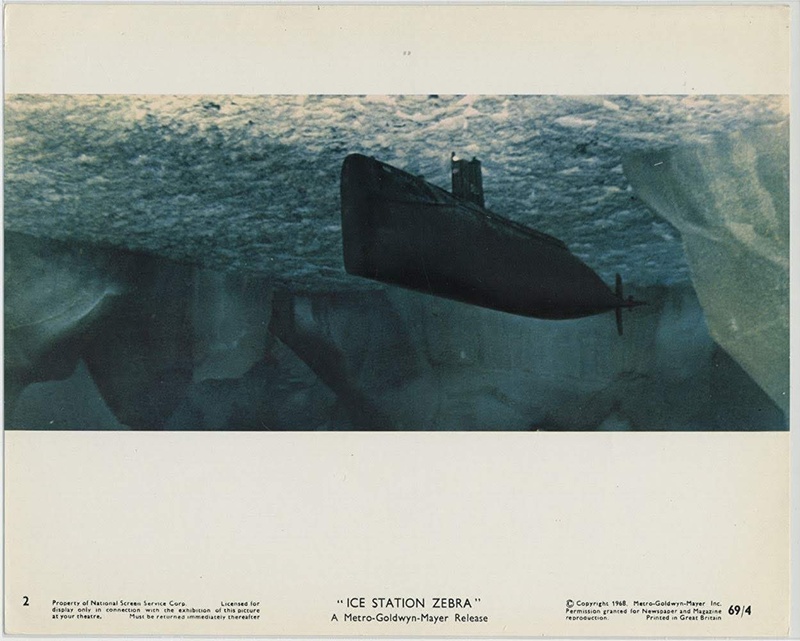 The submarine miniature shots are very effective with the ice sheet quite convincing. The model Russian Mig aircraft shots towards the end of the movie are less successful because the aircraft are too rigidly mounted with respect to each other and the camera. What is interesting is that the backgrounds which look front projected are also reflected on the shiny silver finish of the miniature aircraft on all sides which suggests some special surrounding projection rig was employed. The detail on the aircraft miniatures is very good and some of the shots get close enough to see the miniature pilot. There was apparently sufficient work to credit three visual effects supervisors, J. McMillan Johnson, Carroll L. Shepphird and Clarence Slifer.